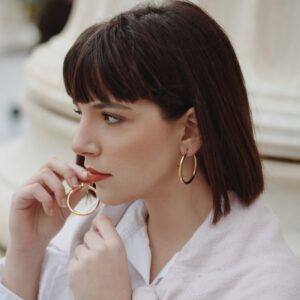 Hoop earrings strung with a big gold plated heart. Show them off with a cool chignon or messy bun. 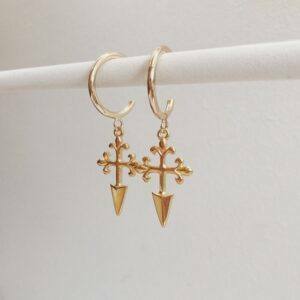 Handmade earrings made of gold plated brass, black enameled elements and golden drops. We like how they swish playfully as you walk. Show them off with an updo or smooth tresses. 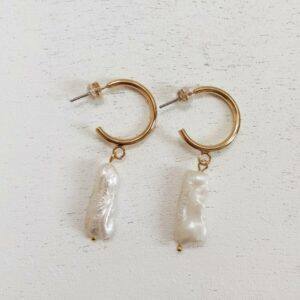 Ember earrings are made of gold plated brass dainty hoops strung with acrylic pearl beads. Layer them with other styles from our collection. 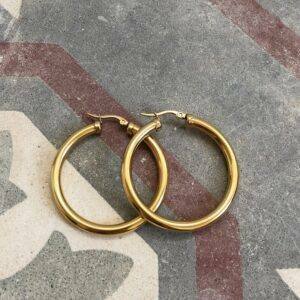 These beautiful hoops are made of gold plated steel. The circumference of the hoops is 3,5 cm and the thickness is 0,4 cm. 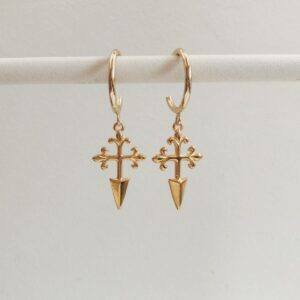 Faith earrings are made of gold plated brass hoops strung with cross pendants. 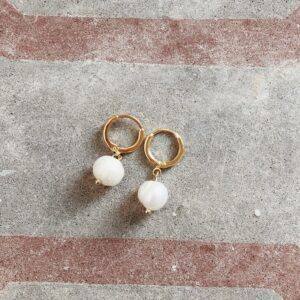 Wear yours stacked with other dainty earrings from our collection. 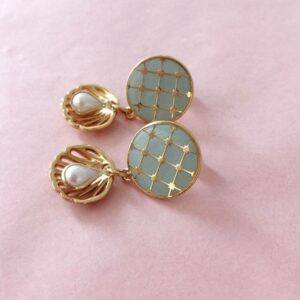 Audrey earrings has a big enamel cloisonne strung with shell shaped pendant in gold plated brass and acrylic pearls. 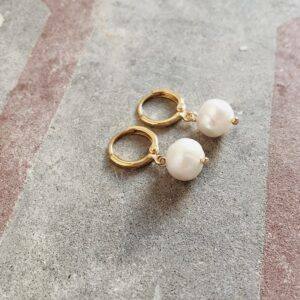 Blair earrings are made of gold plated brass dainty hoops strung with lustrous freshwater pearl beads. Layer them with other styles from our collection.